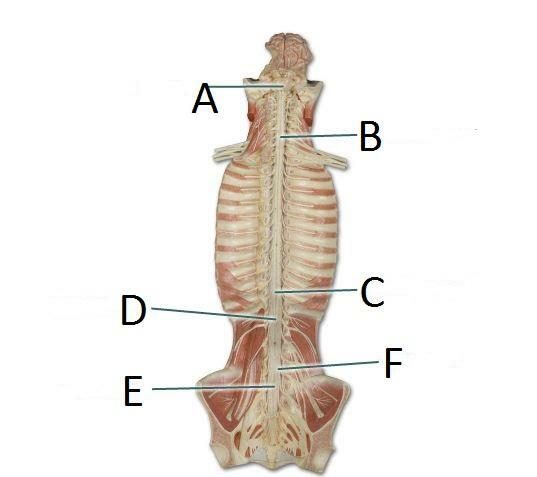 The spinal cord is continuation of the brain stem. The size of your thumb except at cervical enlargement and lumbar enlargement. Does this picture contain the correct terms? 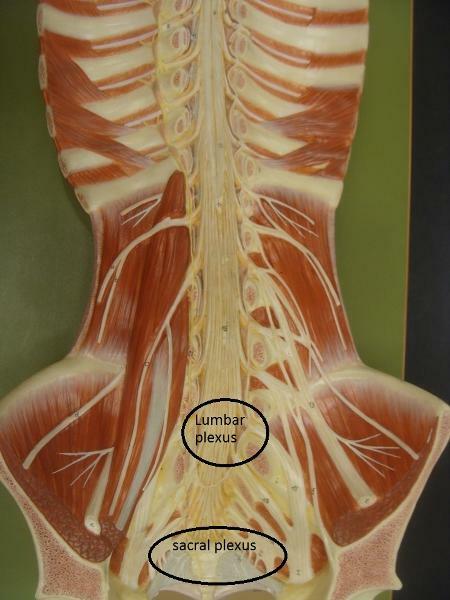 Does this picture contain all the Plexus of the spine? What is the area(B) called? What is the area (C) called? What is the area (D) called? What is the area (E) called? What is the area (F) called? Number 8 is the area connecting sides? They are only seen on the dorsal side. They come off the front. No ganglion on the front skinny root wires.